off to drottningholm palace by boat! the sun rises in stockholm this time of year at around 3:45 am. most days since i’ve arrived it shines through the cloud piles at various times throughout the day. the temps hover right around 60 degrees and dip into the 50’s at night. the ideal climate for summer travel! particularly for menopausal women such as myself. on this day the sun shone nearly all day long. the water changed color from navy to a glittering blue. i knew it was the day for a trip to drottningholm palace – about an hour away by boat. it’s rather inexpensive to go by boat. approximately 8 USD each way. i sprang for your ticket since i knew you’d want to accompany me. we climbed a tiny spiral staircase to the tippy top and found a nice seat on the outside. how beautiful stockholm is from the water. the city is spread across14 islands where the fresh water of lake mälaren meets the baltic sea. imagine living in one of the summer homes that line the shores. we thought of it the whole way to drottningholm. as i write this dispatch from stockholm i am actually on a high speed train across sweden bound for strömstad. but forget that for a moment, while we continue our languorous ride through the waterways east of stockholm. how pleasant it is to return to scandinavia. ever since i was in norway i’ve longed to return. and now look. here we are. after an hour or so drottningholm palace came into view in all of her blonde glory. she is magnificent no doubt. but i’m captivated by other things as well. the way the water shimmers with blue light. the clouds. we don’t get many of those in los angeles. the pure greenness of the leaves and grass. one floral scene after another. there is the slightest breeze. i could lay in the grass here for the next 2 weeks drinking in this air and the scent of GREEN. i hope you won’t mind that i’m not actually taking you INSIDE the palace. it’s just that i couldn’t bring myself to go inside. i ate lunch under the shade of trees. the views were splendid. the entire palace grounds are vast and include forests, manicured hedges, gravel paths, geese, small lakes. forgive me for failing in my duties to capture everything. i took many pictures with my mind. sometimes that is the best way. the food is outstanding. witness a warm slab of quiche atop a nest of greens. sigh. while i waited for the boat home i happened to notice a bus stop. you know i cannot resist a bus stop. also i was the last person in line for the boat among a great line of people who were heading back to stockholm. and promptly marched to the bus stop and worked out a way to take a bus to a metro under the waterways. 20 minutes later i was back in stockholm! next up: a visit to gamla stan. oh just you wait for that! thanks for the comments. how good it is to read them each morning when i check my email. That palace looks just like a postcard. I’m so enjoying your travel posts. I won’t travel overseas so when you take your trips, I live vicariously through your photos and the descriptions of the deliciousness of each location. The flowers are lovely. I’m so glad you are having a wonderful time for your travels this summer. Girl Reporter: you are doing GREAT!!!! I am sooooooooooo enjoying your posts. I’ve always wanted to go to Scandinavia but don’t know if I’ll ever make it. I have a few other things to accomplish first. LOL Love all of the green. Reminds me of my home where I was raised in WV. Not quite the cultural richness or trains…but there are a few bus stops in a few cities. Other places, alternate forms of transportation are commended. Can hardly wait for the next update to pop up in my email box! Safe travels! Oh Mary Ann – such a treat to visit a beautiful place with a worldly traveler. I’ve peeked into those little river-front cottage windows with you and imagined a cup of tea in the morning under the blue sky. A glass of wine on the grass at sunset. Have you seen any kittens romping in the grass?I can’t wait to see your journal after watching it be so carefully prepared. Living vicariously back here in dry CA, imagining the fragrance of all that lush green! Thanks for smuggling us there with you – you’re the best. Thank you for the boat ticket. I’m buying a virtual drink tomorrow. Skol! I’m loving your trip since I’ve never been anywhere in Scandinavia. The details of your photos are a delight. I can’t wait to see your journal!! I did this trip in 1985 and it doesn’t look like it has drastically changed. How nice to relive my journey from way back then. Looks like you are having a magnificent trip so far. What an exciting and relaxing day. I can’t wait for tomorrow. Where will we go next? What a wonderful expetition (as Pooh would call it)! Thanks for inviting me along. I had no idea Stockholm had so many islands. And the sky. And the water. Makes me want to just paint blue. What a beautiful journey! And how lovely to be with you. I love how you use the buses to get us around. The sun rises around 4:40 am where I am. 3:45?, wow, so much time for site seeing. How I love traveling with you, Mary Ann. Those long northern days mean lots of time for everything. Such an adventurer, figuring out the bus routes. Why go home the same way we came? Seen any Swedish kitties in windows? What an adventure, there by boat and back by bus and metro, under the water. Woo Hoo..loving this! I’m enjoying armchair traveling with you and seeing all your little adventures. I perk up when I see there is a new post from you! I am so with you on just seeing the Palace but not touring it. At this stage of my life, the journey is more important than the destination. Eventually, a palace is a palace but a bus ride etc is real life – which is what I seek. Keep enjoying and yes, I do want to see what you eat. Food photos? love em. Having a great trip with you!Want to visit me late fall when I’m staying in Italy? What a lovely boat ride. Love all the seaside home with the little decks hanging over the water. I’d love to live so close to the water. That castle is immense! You could have guests and not see them for weeks, that might be a good thing. Is it a residence of the rulers now or a museum? 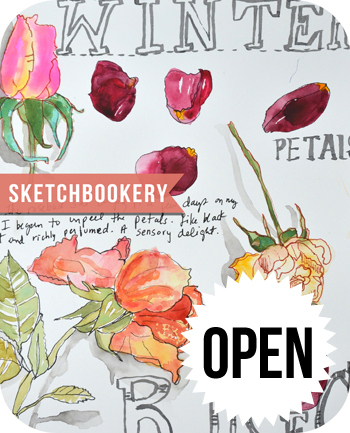 Are you doing any urban sketching on your bus rides or walk about? Just curious. Can’t wait to see what and where we’re going tomorrow. I love having my morning tea with you in Sweden and me in my arm chair. I’d love to see all the Scandinavian countries. Oh my gosh, I believe you travel the same way I do… daydreaming along the way, photos of the treetops, a spur of the moment change of plans. Sounds and looks like you’re having a fantastic trip, thanks for sharing! Enjoy! Ah….this is the BEST trip, Mary Ann. After a cup of coffee from the kitchen each morning, I head for ” Dispatch “………for another wonderful day of adventure. Do you realize that so many of us are thinking of you each and every day, as we go about our own routines? Thank you for including us in your travels- so fun to see! I was sure we would take a boat ride, and, of course we would climb up to the top and find a good seat on the outside. Of course we would dream of sitting on a deck or a balcony, sipping the beverage of our choice, watching the boats go by……. Of course we would find something beautiful and delicious to eat. Mmmmmmm. Thanks for finding us such a good seat, and more thanks for stopping me when I wanted to jump off the boat and go to one of the shoreside houses. I would have missed the palace and its beautiful grounds. What a good eye you had to find the bus stop – I missed it completely. Getting home so quickly was a big help in leaving time to see more! I am really enjoying this trip. After some rough days, this was just what I needed – water, sky and sunshine. you are absorbing so much Vitamin D & culture on this trip…..thanks for the wonderful photos from the boat/ferry….. Thoroughly enjoying this trip, can’t wait for your next dispatch! It is so dreary and cold and rainy in Melbourne, but so lovely to see all that blooming, green and blue. Thanks for another wonderful glimpse inside your holiday. The north Georgia mountains that I call home are clothed in similar colors of green…my sky is dotted with big fluffy clouds most days…and the waterways through the river basin (Tennessee river) sparkle under the sun. Seeing these things through your eyes, halfway around the world is refreshing!